Find your own ski in and out by owner rental in Crested Butte-click on this link! By Owner Rentals -Want to do a by owner search for yourself? Check VRBO/Homeaway! Do a petfriendly search! Or see our handpicked rentals below! By Owner Rentals are a wonderful way to head to the slopes! You get a full kitchen, much more space and in all a quality experience. We partner with Trip Advisor and VRBO/Homeaway. View Studio Corner Condo Grand Lodge facing the Mountain -Pool at the Base! -1 bed, 1 bath, slps 4, from $112/nt - Instant Book! 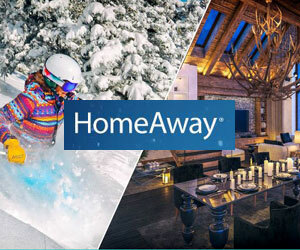 Homeaway 4210156 -The Grand Lodge is the premier hotel at the base in Crested Butte. Right at the base, with great amenities and parking, the Grand Lodge offers luxury and convenience.there is an outdoor hot tub, an indoor/outdoor pool, day spa, restaurant and bar. The common area has all the amenities of a full service hotel. Ski lockers, outside hot tub, wifi throughout, luxurious lobby,incredible views, cable tv, and concierge services. Beds: two king beds and a small kitchen in case you decide to eat in. One king is a regular large king, the other is a murphy pulldown. This large studio at the Grand Lodge sleeps up to 4. Large screen tv's! Ski in Out 2 Bdrm Gorgeous Petfriendly Crested Butte Condo -2 bed, 2 bath, slps 6, from $118/nt - - Instant Book! Homeaway 3834641 - Beautifully decorated and renovated, this condo has unforgettable valley views on Crested Butte mountain and is really ski in and out. Petfriendly. One king bed in the master, a queen bed and 2 singles (bunks) in the second bedroom. Take advantage of our beautiful remodel! The kitchen is lovely, as is the master and the living room - for a pet friendly unit, this is exceptional. And, our building has been redone inside and out! I have another 2 bedroom condo right next to this one - so if you are two families looking for.. ski in and out and 2 kitchens, this would be a great option. In winter, completely ski-in/ski-out. The ski school is right next door, as are two lifts, Peachtree and the quad lift. You could literally ski into the condo at the end of the day if you could ski on wood. View 2 Bdrm Corner Condo Grand Lodge facing the Mountain -Pool at the Base! -2 bed, 2 bath, slps 6, from $175/nt - Instant Book! 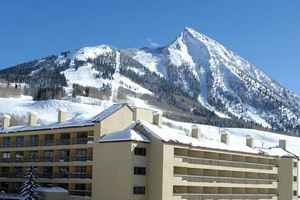 Homeaway 3771704 - The Grand Lodge is the premier hotel at the base in Crested Butte. Right at the base, with great amenities and parking, the Grand Lodge offers luxury and convenience.there is an outdoor hot tub, an indoor/outdoor pool, day spa, restaurant and bar. The common area has all the amenities of a full service hotel. Ski lockers, outside hot tub, wifi throughout, luxurious lobby,incredible views, cable tv, and concierge services. Beds: two king beds, one queen sofa, and a small kitchen in case you decide to eat in. This suite of rooms at the Grand Lodge sleeps up to 6. There is a door between the two areas, - so one side has a king bed, a seating area, and its own bathroom, with a corner view of the mountain. The other has a king bed, a kitchenette and a queen bed pullout. Both sides have large screen tv's! Ski in and Out! 3 Bdrm, 3 Ba! Hot Tub! Views! Slps 8! - 3 bedrooms, 3 baths, sleeps 6-8! 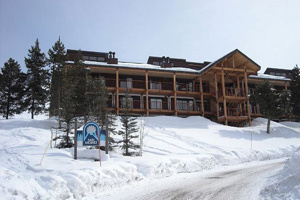 Homeaway 143365 -Ski in & Out 3 bdrm 3 ba Condo! Hot Tub! Walk to ski school! Just repainted ! New sheets and towels! Beautiful new area rugs! and lots of utensils! Black Bear Lodge is Located About 20 Yards from the West Wall Lift and from ski school. It is a gorgeous luxury new ski lodge with a heated covered garage; outdoor hot tub; a large common lodge area with a TV, and huge real fireplace. Great wifi throughout. Great discounted ski tickets and mountain bikes available! Ski lockers! Gorgeous hot tub! Fireplace! full fully stocked kitchen. Washer and Dryer in the condo. King-size master, with its own bathroom twins in two guest bedrooms - all top-of-the-line Simmons Beautyrest mattresses.Each room has its own bathroom. So one king, 4 twins in all, plus (new!) King-size couch-sleeper in living room if you need it. Sleeps 8! TVs in all bedrooms, home theater system with surround sound in living room with VCR and DVD. CD and DVD library available for renters. Selection of games and puzzles. Jetted hot tub in master bath. Radiant in-floor heating keeps feet warm on cold days. Heated garage with assigned space. Lovely 3 BR Ski-in Out Condo - Next to Slopes!-3 Bedrooms, 2 Baths, Sleeps 8, from $151/nt - Instant Book! Ski in and Out 3BR/3BA, 2 Stories, Views! !-Hot Tub- Heated Garage! 3 bedrooms, 3 baths, sleeps 9-11, from $250/nt - Instant Book! VRBO 184074 - Black Bear Lodge is located at the base of Mt. Crested Butte. This gorgeous condo is 2 stories high and has views of the ski mountain and Crested Butte valley, that are spectacular. The town bus stops right in front and is free. There's a river in the back, and a hot tub and a grill outside. Come on over for some summer fun! In winter: The condo is about 15 yards from the new West Wall Lift and about 20 yards from the ski school. In other words, it's really ski-in/out - just walk across the quiet street. Homeaway 305667 - Beautiful 2-story, 2000 sq. ft. 4 bedroom 3 bath condominium with beautiful view of Crested Butte valley, ski-in/ski-out, at the Crested Butte resort. Completely remodeled in white - Scandinavian-style, with marble counter tops in kitchen and bathrooms, light and airy design. 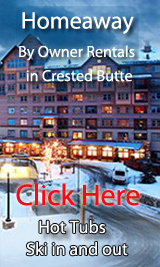 Crested Butte By Owner Rentals- Our Blog! 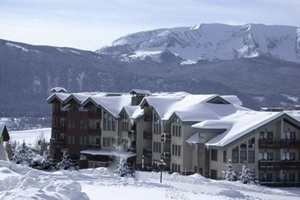 Great Deal:Lovely 3 BR Ski-in Out Condo - Next to Slopes!-3 Bedrooms, 2 Baths, Sleeps 8, from $151/nt - Request to Book!